According to the tradition at ESA, the term of the Director General and Directors is 4 years with the possibility of it being extended twice for the same period. The ESA Convention, for its part, provides for the holding of ESA Council meetings at ministerial level every 3 years. It is obvious that these two different timetables do not match. Historically this issue was resolved by adjusting the dates of the Ministerials. In the spring of this year I proposed to the ESA Member States that we adjust the two timetables by changing the terms for the Director General to 6, 3 and 3 years respectively. With the decision of extending my current term (4 years) by another 2 years the basis for the proposed adjustment is laid. This clear decision on the mandate is a good outcome in these times of great change. It is obvious that the space sector is experiencing a paradigm shift which will also affect ESA. It is our common responsibility to shape ESA for the future, and to define its role and the way in which it works. 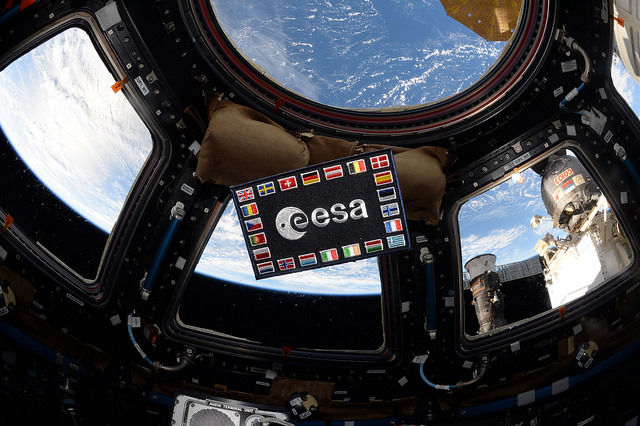 Together we can strengthen the idea of European cooperation as long as shared objectives and solidarity among Member States remain front and centre at all times: United Space in Europe, United Europe in Space. The challenges ahead include all the aspects I summarised in Space 4.0: “New Space” (commercialisation, spin-in and spin-off), participation in the broadest sense, digitalisation and new technologies. These challenges require a new understanding of the role of ESA and the way we carry out and support space activities. Concerning the instruments used to conduct space activities, new methods – including public private partnerships – are to some extent being used already. In addition, turnkey project and multipartner open concepts may be considered. This diversity of instruments brings with it a diversity of roles which may include traditional agency, partner, broker, enabler or facilitator. ESA, as an intergovernmental organisation with its very specific profile and setup and an ability to act according to Member States’ wishes, is in the best position to tackle the challenges that lie ahead as well as being agile enough to manoeuvre effectively both in the foreseeable and the unforeseeable future. We can accomplish great things if we continue to all pull together. For Europeens who remember the war, ESA means that Europe wants to banish the wars for ever between member states. The members are eager to collaborate in the discovery of space and to share the joy of exploration. Through ESA, the cultural richness of Europe that of the small countries and also of the large ones will be brought to every resident of this beautiful mozaique.